Top 10 Things to Do, 30 Minutes from Casa Del Mar! 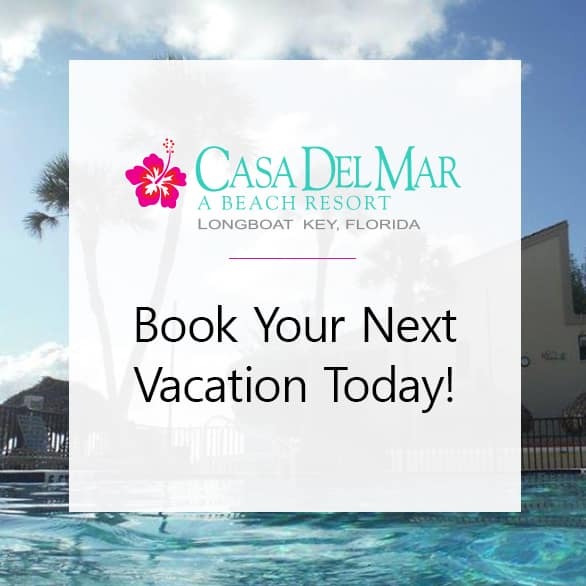 Beachfront Vacation Rentals » Top 10 Things to Do, 30 Minutes from Casa Del Mar! Great for kids, this working aquarium gives you an up-close experience with a variety of marine animals and fish, including two touch tanks and a 135,000 gallon shark habitat. You can also witness our scientific research—as it happens—in viewable working laboratories. Golf Digest has rated University Park Country Club four stars since 1996 and Sarasota Magazine has rated the challenging 27 holes at University Park the “Best Place to Play Golf” for 22 years running. Golf Advisor rates University Park #10 on its list of top 25 courses in Florida. Sarasota Jungle Gardens has been a tourist attraction in Sarasota, Florida in the United States since 1939. It offers ten acres, or four hectares, of botanical plantings along with bird and animal shows. restaurants, St. Armand’s Circle is particularly famous for its home-made chocolate, fudge and ice-cream shops. The circle contains many restaurants, tobacco shops, clothing stores and other retail outlets. Take in a baseball game with the Bradenton Marauders, a minor league baseball team based in Bradenton, Florida, that plays in the Florida State League. The Marauders are the Class A-Advanced affiliate of the Pittsburgh Pirates. Their home games are played at LECOM Park, which also serves as the Pirates’ spring training facility. A world class dining and fashion destination, the Mall at UTC offers a variety of over 140 stores and restaurants. This includes Macy’s, Dillard’s, The Apple Store and The Cheesecake Factory, with plenty of parking! South Florida Museum is the largest natural and cultural history museum on Florida’s Gulf Coast. The museum interprets the region from the Pleistocene to the present. Highlights include fossil evidence of Florida’s earliest mammals and marine species, the Montague Tallant collection of prehistoric and early post-contact archeological artifacts, and the Environmental Wing focusing on Florida’s ecology and bio-diversity in the Pine Uplands and Riverine Galleries. Originally the home of William and Marie Selby, Marie Selby Botanical Gardens today is an urban, bayfront oasis showcasing a living collection of rare and beautiful tropical plants. The Gardens is also a respected world leader in the study and conservation of plants, particularly epiphytes–plants adapted to live in the tree canopy, including orchids, bromeliads, gesneriads and ferns. With a skatepark, outdoor aphitheater, sand volleyball court, fishing pier, day dock, kayak launch, tidal zone, botanical walkway and outdoor living rooms for lounging, Riverwalk truly has something for everyone.